You need to print. You need to print barcodes. 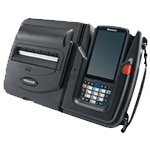 Bar Code Direct offers mobile printers that allow your employees to work on the go. We also carry a wide range of tabletop printers that are powerful enough to work all day and night as well as desktop printers small enough to fit into any tight workplace. In addition to bar code printers, we offer bar code printing software and complete integrated labeling solutions for your office, warehouse, manufacturing facility, retail store, vehicle, and healthcare environment designed to keep your business up and running. Learn more about how the right printers can reduce downtime and increase efficiency. Contact us for a free barcode systems analysis & review! 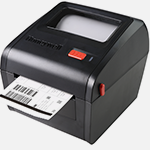 Industrial class barcode printers are designed for business critical printing in demanding environments. 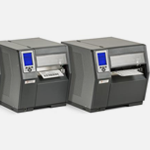 These printers can manage high volume and complex printing applications. 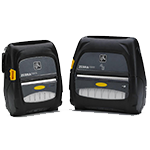 Mobile barcode printers are ideal for environments where portability improves efficiency and productivity. Despite their small size, their diverse feature sets support a range of applications. 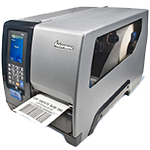 Desktop barcode printers have a smaller footprint.They have a wide range of applications including healthcare, commercial and mid-volume industrial. 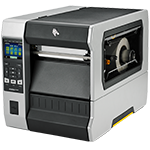 When ease of use, flexibility, and management simplicity matter most, choose the ZD420 4-inch thermal printers. Their faster, higher-quality printing keeps your business moving by reducing time spent integrating, managing, and troubleshooting. In critical healthcare environments, when ease of use, speed, and accuracy are paramount, choose the ZD420-HC. Ready for constant disinfecting, it includes wired and wireless connectivity and a healthcare-compliant power supply that maximizes printer productivity and uptime. The ZD500 brings UHF RFID printing right to your desktop. Small and easy-to-use, this printer delivers advanced features in a compact footprint for convenient and simple operation. With automatic calibration, you'll enjoy lower media cost, fewer roll changes, and less waste. 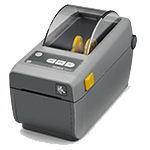 The ZD510-HC Wristband Printing solution combines the reliable ZD510-HC direct thermal printer with easy-to-load cartridges containing the only antimicrobial-coated wristbands on the market—Zebra's Z-Band® wristbands. Just insert the wristband cartridge and print. 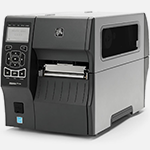 Powerful and dependable, the PC42d features a solid double-layer housing and an easy paper-loading design. 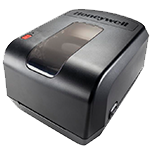 Well suited for a variety of low-to-mid intensity thermal printing applications, this easy to operate printer delivers excellent and affordable results. Easy to install and ready to print quickly, the streamlined PC42t thermal transfer desktop printer is an economical choice. It's able to accommodate large ribbon sizes and print longer before needing media replenishment. 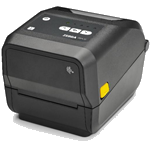 The H-Class high-performance industrial printers combine performance and rugged reliability, making it a top choice among premium class label printers. Print at high volumes and high resolution for your manufacturing, warehouse, and transportation needs. With its fast processor, large memory, and a wide selection of communication ports, the I-Class Mark II can easily keep up with your high-speed label demands. Their reliability, rugged durability, and competitive price make them a top contender for growing businesses. 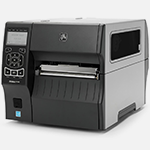 Offering great value for warehouse, healthcare, logistics and retail applications, the M-Class printers are easy to maintain, upgrade, and integrate. Featuring fast performance and a modular design, they keep up with high-label-demand applications, cut back on downtime, and improve workflow and efficiency. 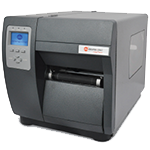 Optimized for high duty-cycle label and receipt printing, the QLn Series delivers fast processing, large memory, and a range of accessories. Easy to operate, integrate, and connect features result in higher workplace performance. Improves patient safety by bringing mobile specimen ID right to the bedside. QLn-HC printers are crafted with medical grade plastics and can withstand thousands of healthcare disinfectant wipe downs. A medical grade power supply provides another level of safety for patients and clinicians. Extreme environments are no match for these rugged, lightweight, and compact printers. They can withstand water spray, wide temperature ranges, and repeated drops to concrete. With large buttons and a user-friendly interface, they are easy to operate, even when wearing bulky gloves. 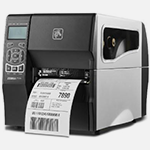 With the ZQ600 series, store associates can print everything from shelf labels to item tags, markdown labels and sales receipts, right on the spot. With the ZQ600 Healthcare Series mobile printers, your staff can print labels right at the point of care, reducing labeling errors and improving patient safety. With disinfectant-ready plastics and powerful remote management tools, the ZQ620 HC is designed specifically for healthcare. 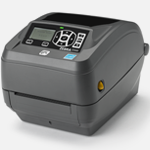 Designed for demanding industrial environments, the MP Compact Mobile printer offers label-printing solutions and big customer benefits in a small size. Includes an integrated DC connection so you can easily mount directly onto forklifts or mobile carts to boost efficiency and productivity. Eliminates the hassle of juggling a mobile printer and computer. 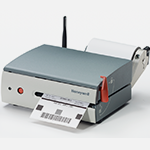 The PrintPad offers the convenience of a portable thermal printer and mobile computer united in one compact, ergonomic unit. Provides a smart recharging solution and security and encryption protocols compatible with today's security requirements. 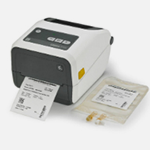 Designed for hospital, clinic, laboratory and pharmacy application, the ZD410HC prints high-quality labels, receipts, tags, and wristbands in a small workspace. Fast and dependable, this easy-to-use printer features numerous connectivity options, disinfectant ready plastics, and big business functionality. 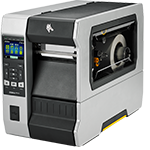 For the most constrained spaces, get the ZD410 - the smallest printer in its class. It is available with either 203 dpi or 300 dpi and is ideal for labels with a shelf life of less than one year. 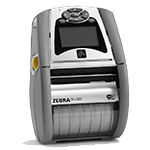 With a user-friendly interface and space-saving design, the ZT220 industrial printer is Zebra's most affordable option. Set it up effortlessly and maintain it with ease. With an effortless setup, intuitive user operation, and ease of service and maintenance, the ZT230 industrial printer is durable. Featuring both a metal frame and a larger ribbon capacity, it's the ideal choice for use in demanding environments. Capable of printing at a high-speed and high-resolution, the ZT410 industrial printer is a top choice for small-label applications and will keep operations running efficiently. This printer comes with standard and advanced features to help your growing business. 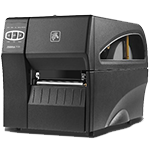 Designed with an all-metal frame and bi-fold door, the ZT420 industrial printer is fast and reliable. Easily integrate, manage, and maintain these printers from anywhere in the world, while keeping your critical operations running efficiently and meeting your business's demands. Armed with intelligent and user-friendly features, the ZT610 industrial printer offers total visibility and control at all times. Built to withstand the most demanding industrial conditions, this future-ready printer will meet your growing production line needs. Bring your printing needs into the future with the ZT620 industrial printer, aimed at providing a user-friendly interface with the ability to run like a workhorse. Combines rugged durability and exceptional performance on a user-friendly platform to meet your high-volume demands. Delivers fast, drop-in deployment, advanced connectivity, and proven reliability to maximize your uptime. The Intermec PM43 features innovative “no-touch” configuration, a universal-icon interface, and the fastest print speed in its class.